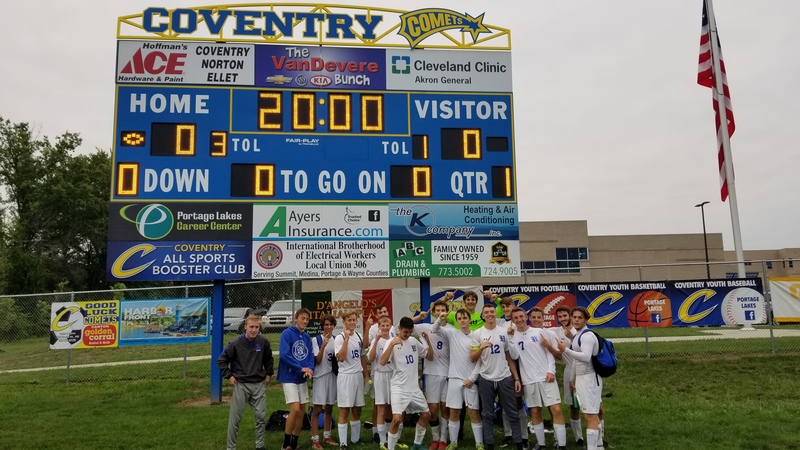 Ravenna won their 3rd in a row out dueling Coventry 3 to 2 in a spirited away contest. After taking an early lead on a laser free kick by Noah Cunningham, Coventry leveled the contest. Isaac listen’s one touch goal put Ravenna ahead only to have Coventry fight back level a few minutes later. Tyler Bisson sealed the match fir Ravenna with a penalty late in the game. With the win Ravenna improves to 4-2-1 and 2-1 in the PTC Metro.